Alex Ferguson looked on, realising a big lesson was needed here. He had been sitting in the Carrington canteen, chatting away to an old friend but keeping a vigilant eye on the Manchester United youngsters lining up for lunch. As underage forward Robbie Brady opened his mouth to order, he was suddenly cut off by someone cutting in. Cristiano Ronaldo, just in the door and having just received the 2008 Ballon D’Or, presumed the place in the queue to go with his new prize. He presumed correctly. Brady stood off. As the hungry lad walked off, tray in his hands a few moments later than he expected, Ferguson called the young Irishman over. It’s only a little vignette but still one that tells a whole lot about why Ferguson has won what he’s won. Interestingly, the solitary manager in history who can claim a better record than Ferguson in continental football would have advocated a different approach. He would have nodded approvingly. Helenio Herrera never illustrated such an encouragement of promising youth. Possibly because he never stuck around at a club long enough to take advantage. Probably because of the fear that he might eventually be upstaged. This, after all, was the man who attempted to suggest a degree of divinity in his own origin. Intelligence that she passed on to him… was the unsaid inference. Also unlike Ferguson and Paisley, who for all their own differing flaws always shared a degree of modesty about their management, Herrera expounded an arrogance that would have made Jose Mourinho raise his eyebrows. If no-one else was going to say it, he was. And unethical? Far less frivolous stories reveal the dark side which ultimately allowed Herrera’s genius see light. The worst example was the player he effectively trained to death. At Roma in 1969, Herrera knew the forward Giuliano Taccola had a heart murmur after an extended stay in hospital. Still, on a windswept morning in Cagliari, the authoritarian Herrera insisted Taccola prepare on a beach with the rest of the squad. The player collapsed and then died hours later. Ernst Happel, the first manager to win two European Cups at two different clubs, at least showed a similar disregard for his own health. At Hamburg in 1986, he opened a letter from his doctor. On distractedly scanning it until he got to the word ‘cancer’, Happel crumpled up the letter and threw it away to get back to team affairs. When a concerned journalist later asked him about it, the always irritable Happel immediately interrupted. The point of all these anecdotes, however, is that they reveal wildly different personalities. Wildly different personalities with often wildly different approaches to winning football matches. Because personality, essentially, is what football management is all about. Imposing it. Adapting it. And ultimately using it to persuade, provoke or push a squad of players to be better than they previously were. In effect, it’s about using your will to get the very best from the resources you’ve been given. Individual over the collective. There is no right or wrong way to it. Merely what works at a specific time and place. Whatever this sample few did certainly worked – and in Ferguson’s case continues to work. But, despite their different ethics and approaches to football, they all share one common claim. To be among the greatest of all time. How, then, to separate them? Because, basically, it’s impossible to measure Ferguson’s man-management. Likewise Herrera’s psychology; Brian Clough’s alchemy; Guus Hiddink’s organisation; Tele Santana’s aesthetics and Rinus Michels’s tactical influence. All of those abilities are unquantifiable. Because, ultimately, winning is highly quantifiable. The most elementary indicator of great management is rather easy to add up: trophies. The greatest have all racked them up and in the top-ranking competitions. This formed the first main strand of our formula. Nevertheless, trophies barely tell the full tale. There are many examples, even from this list, of coaches who merely facilitated victories at well-placed clubs rather than fire them. Take, from someone outside our 50, the curious case of Dettmar Cramer. With two European Cups on his Bayern Munich CV, you would presume his place on the pantheon would surpass even Stein’s. Rather, Cramer never reproduced such records, effectively proving he lived off the work of Udo Lattek and Zlatko Cajkovski at Munich. He may have secured the competition’s last three-in-a-row and become one of just nine managers to retain the competition but, as one Bayern player allegedly said of his reign, “with our squad, any fool could have”. All of which illustrates that the most prestigious trophies are really elevators to greatness rather than indicators of it. Just as important, then, is the work that managers have done beforehand, the work that got them there. Improvement. This, however, is also quantifiable since it is also all about numbers: league positions. It’s easy to compare where a club tended to finish in the time before a manager took over and where they finished under him. With points attributed to positions, this formed the second main strand of our formula. Ultimately, the very job description – manager – indicates that the profession is all about efficient use of resources. How best you maximise what you’re given. As such, all of the trophies and league positions were offset against the money spent, or resources available, in that given year. This formed the third main strand of our formula. The overachievers. These are managers who took the earthiest of teams and temporarily lifted them to the stratosphere. By translating their talents between different teams across different times, however, the likes of Clough weren’t too far removed – either – from the Fabio Capellos. Really, not losing it is the key. The managers who stayed truly effective for the most sustained period of time in their careers – whether at a single team or several – are the highest in this list. As ever, we don’t claim it ends any debates. Instead, we want to start them. But the very best managers have never tended to wait in line – either for their say or their fill. It's a Flash game you can play in your browser for free. The thing most people ignore (or forget) about Fergie's European record is that the illegality of the Champions League rules in the 1990s weakened his United team. UEFA only allowed 2 foreign players per match day squad so he had to chose two out of Keane, Irwin, Cantona, Schmeichel, Kanchelskis to mention 5. This in turn did strenghten United in the future because the Nevilles, Beckham, Scholes, et al were thrown into European games because they had to. As per my previous post assertion, Fergie is definitely not the Greatest! A fair assessment of Fergie's Football Manager's Abilities is to gauge his success rate against his European/International Counterparts . Fergie's success domestically comes from the fact that he is at the richest club dominating the PL to wit rapaciously raiding & weakening his domestic rivals of its Marquee players (Rio, Rooney, Carrick, RVP et al). Sending Off (MU players being sent off) or Penalties conceded or awarded in favour of MU. Fergie managerial record is not better than the likes of Dettmar Cramer, Heynckes, Carlo Ancelotti, Hitzfeld, Brian Clough, Arrigo Sacchi, Happel, Herrera et al. Its 2 years since this thread was posted & updated by the Author. As the 'Devil's Advocate' one has to scrutinize or validates the assertions herein. The last 2 seasons Fergie was Poor in European Campaigns. Fergie's MU team was dumped out of the Minnows group & got KO by a real CL team this season. In 26 YEARS of LONGEVITY and at the Richest Club in PL History Fergie's European record is poor. Fergie lacked EUROBILITY. 2 EC/CL titles when you compared to the likes of Pep (2 Titles in 4 yrs) , Paisley (3 in 9 yrs) and more than 10 Great Managers (2 CL titles <20 years). All the domestic league titles or Honours? Besides EUROBILITY What's also important is tactical nous & head to head results against his PEERS. To wit in recent 11vs11 matches, MU team were beaten or humiliated by the likes of RM's City or RB Chelsea. Don't Mistake Longevity for Talent or Greatness! Enjoyed the list, although I do think Rinus Michels is still the best of all time and deserves a much higher spot. where is Tele Santana, Frens Bekkenbaur?! Vanderlei Luxemburgo? He won 5 Brazilian Serie A's, 13 Brazilian state championships, a Copa America, a Brazilian Serie B and a Brazilian Cup? What about George Ramsay? 6 league and 6 FA cups alone should put him in the 20's. I imagine it would be hard to come up with figures for points 2 and 3 from your "how it works" page but surely he deserves a mention at least. Herbert Chapman gets in with 4 league and 2 FA and he was operating at the same time. Understood, hence my comment! What lists are coming up? It's only an opening for discussion/debate lads, not definitive! Rubbish. having Bob at 6 and Clough at 5. @ ADAM BROWN . AND SO WHAT IF HE WON INTER A CL IN 45 YEARS. HITZFIELD WON DORTMUND THEIR FIRST EVER CL, HIDDINK WON PSV THEIR FIRST EVER CL WHATS SO SPECIAL BOUT WINNING CL IN 45 YEARS. INTER MILAN HAS ALWAIS BEEN IN THE CL YEAR AFTER YEAR. UR ARGUMENTS ARE JUST WEAK. MOURINHO NEVER CREATED THAT SIDE FROM SCRATCH COZ NEARLY ALL THE PLAYERS WERE ALREADY THERE FROM THE VERY BEGINNING. Mate are u joking about mourinho!?!? Porto FC had 10 Portugal international players in that 2004 CL final lineup! If he was truly great he would of won Portugal La liga with Uniao de Leira. At chelsea, he squandered no less than 500million pounds in those 3.5 years and the only result he could manage was 2 EPL titles. Ferguson/Wenger did way better than him with half as much money spent on transfers, not only that they built several different sides throughout the decade. Mourinho could never produce his own players maintain longetivity. At Inter, his only main competitor was AS ROMA coz Juventus got relegated n AC Milan/Fiorentina/Lazio started off minus points in serie A table... wonder why he left Inter so soon? maybe coz he wasnt so great building sides other than given large transfer money to buy his way to a title or two. Inter Milan could never offer the kinda money RM offer him and yes he still sux coz he has the most expensive team in the world at RM but still cant manage to win Barcelona! His career stats against Barcelona stands 4W/6D/10L for a winning percantage of 20%, u wanna call that special?? Not so special if u sum it up all the money he has spent in those 4 clubs hes been at! Winning 2 CL is a achievement but at what kinda cost!? Hitzfield did it wit Dortmund and Bayern at the pinnacle of the world game in the mid-late 90s when Italian league was the benchmark of world football. But Mourinho had such a great side (10 of his porto players played for Portugal at Euro 04) people who has a brain can tell u that Mourinho isnt so great or innovative at what he does. He uses the same players same tactics over n over again and yes he can win all the crap teams but when it comes to the real deal, he stands in their shadow n the only excuses for those losses is OH REF CHEATED! Definitely the best of your lists so far. One big debate is how a man as successful as Fergie can still be so denigrated. His comparative lack of tactical acumen may have been a barrier towards Man Utd creating a true European dynasty (well that and Messi's influence at Barcelona), but I cannot think of many other figures who would last a quarter of a century in such a top job. (Particularly interesting to compare his career with his good friend and fellow 'New Firm' boss, Jim McLean, who slowly drove himself insane with his commitment to the job.) Of course he has it easier than most in acquiring good players, but he has rarely bought already-established stars and there are countless examples of lesser figures struggling to control six-figure egos, let alone for so long. Interesting to see you rate Ottmar Hitzfeld so highly. Even as a kid, seeing his name and face come up so often, I've long felt he's been underappreciated in Britain. Cloughie of course remains football's most enduring enigma. Taylor's name should always follow his though. Hope something can be done to fix the difficulty international managers currently have on your system. Seeing as how everybody acknowledges the vital differences between the two jobs though, maybe it would be best to split club and country gaffers, as you've already done for teams. Controversial opinion for this list - personally think Sacchi is a better self-publicist than a coach. It's certainly something we'd look into in the future. Also thinking of getting people to do well-argued rebuttals of our lists. If you're looking for other writers I'd love to contribute something. I'm thinking a 10,000 word piece on the Ajax team of the early 70s. Hadn't heard that story actually. Nice one. My favourite manager-related story is when Shevchenko flew out to Kiev after he won the Champer's League and put his medal on the statue of Lobanovsky. Beautiful. Walter's in the managers that just missed out. Couldn't complement domestic success with continental and didn't exactly do great job at Everton. Big Jock at no.10. Wot no Walter? Mr. Bob Paisley and Sir Alex Ferguson are doing great in their respective teams and they are good manager indeed! As a humble but proud Dundee United fan I started scouring this list looking for two words: Jim McLean. ...until I realised Arsene Wenger was at 29! Bob Paisley and Sir Alex Ferguson are both good manager, the only difference in them is that they are in different teams, so far as i read in wiki's information that Paisley had a total 14 competitions of won and Ferguson had total 34 competitions won, nothing really bad actually both did a great job. 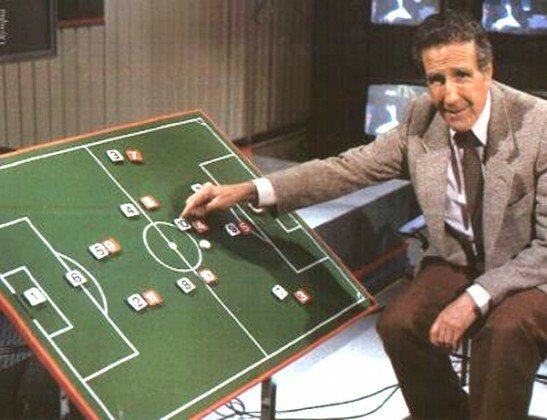 Although true the old European Cup was a straight knockout tournament, apart from the group stages , the last 16 stages to the final in the current format is also a knockout tournament, so Ferguson teams would not of been knocked out in the early rounds in his successful Champions League seasons because his teams would of faced the same knockout football as Paisley's teams did. Also in the Group Stages each team have to play each other home and Away with only the best teams in that group qualifying for the knockout stages so again Ferguson's teams would not of being knocked out. Also it could be argued in the current format you have to play Knock out cup football as well as a league format, making it harder to win than a straight knock out competition. its worth pointing out that the Champions Leauge is just that....a league...whereby you can afford to lose and still win the tournament. When Bob Paisley won the competition it was a straight knock out affair. If you lost over two legs..that was it. Ask yourself this....how many times would Sir Alex have guided his team to the latter stages or the final if it was still a knock out cup? I'm willing to bet that even in the years when they have done well in the Champs League that they would have been knocked out in the old format. It's absurd. The difference between a World Cup and a European Cup are only 30 points? Why the Champions League score much better than the Copa Libertadores, if matches between both champions are historically equal? No points for second places? It's for far the more Eurocentric rank I've ever seen. Just a question here, wwhere does the Sottish League rank during the era of Jock Stein ? As Bob Paisley said himself winning the league title is the ultimate achievement, and Fergie has won 15 League titles to Paisley 6. Whilst also winning more titles in a 9 year period (92-2001) than Paisley did in his reign as Liverpool manager, by seven League titles to six. Also as you pointed out the FA Cup was taken more seriously in the past, as a reason why Paisley didn't win it, well Ferguson did win the FA Cup in this period with both Aberdeen in the 1980's and Manchester United in the early 1990's, winning 9 FA Cups from 12 Finals, as opposed to one final reached by Paisley's Liverpool. Also you state that teams didn't often win both the League and FA Cup double in the same season, but Ferguson has won both the League and FA Cup with Aberdeen in 1984, Manchester United in 1994, 1996 and 1999, whilst winning three FA Cups in a row with Aberdeen in 1982, 1983 and 1984. True Sir Alex Ferguson hasn't always taken the League Cup as seriously as perharps he should of done, but his record in the competition is still phenomenal as in his career with United and Aberdeen he has won 5 League Cups and reached 10 finals overall. Also no manager has won more League Cups in England than Sir Alex Ferguson with 4 victories only Brian Clough can equal him with 4 Victories, whilst no manager has appeared in more English League cup finals with Ferguson reaching 7 finals. Also the argument of how many trophies of Paisley won if he stayed in charge longer is irrelevant as at the end of the day although i agree with you he most likely would of won more trophies he didn't stay in charge and he didn't win the trophies Ferguson did. Paisley deserves credit for being the only manager to win three European Cups but their were less games to play to win the European Cup back then, as you only had to play 9 games to win the competition as opposed to 13 nowadays and 7 games in there 1978 success after recieving a bye. Also the standard of team were not as good as highlighted in my previous post, true they may of been good teams at that time but not up to the standard of teams today. Also you highlight the role of SKY or Champions League benefactors or owners, in Ferguson and United's success, Manchester United have benefited from money from SKY and the Champions League, but then again so have all the other top teams, United have only benefited more so because of there success on the pitch. Also SKY and the Champions League benefactors don't buy United the players and manage them like Ferguson has, whilst Ferguson had many successes before the Glaziers took over United and in truth they have put United in hundreds of millions of pounds of debt. Ferguson won more league titles than Paisley because he has had 25 years in which to do it. Yes Ferguson has won FA Cups where Paisley didn't, when Paisley was manager of Liverpool the FA Cup was a close second to the League Title and carried a lot of weight in the English game, very rarely did one club side win both in the same season, Liverpool usually won the title. The League Cup was also a competition which clubs took very seriously and Paisley managed to win that in 1981, 1982 & 1983. If Paisley had have carried on at Anfield who know how many more trophies he would have won? I reiterate my point that Paisley won three European Cups in five seasons with teams made up almost entirely of British & Irish players, no expensive foreign imports, no Sky or Champions League cash cows, no foreign benefactors. It is no coincidence that when the Sky money machine took hold of the English game Manchester United came to the fore. Bob Paisley was undoubtedly a great manager who has won one more Champions League than Sir Alex Ferguson he hasn't got a better overall record than the Scotsman. Ferguson's record is superior in almost every department; he has won more League Titles, more domestic cups to add to the fact that Paisley never won an FA Cup whilst Ferguson has won nine in his career at Manchester United and Aberdeen. Ferguson has also appeared in more Champions League finals than Paisley did against stronger opposition. Also Ferguson has won the league on three occasion twice, something which Paisley never achieved whilst also winning seven championships in nine seasons between 92-93 and 2000-01 season beating Paisleys achievements in winning six championships in nine seasons. Also Ferguson teams have reached 28 major finals winning 18, compared to Paisley teams reaching 9 major finals winning 7. Ferguson also has the ability to move with the times as his 37 year management career testifies to and his record of over 2,000 games and 1,100 wins shows. Football today is a very different game to the one he came to in 1974, as the pressures from the media and fans is much more than it was back then and also he has had to change his style to deal with footballers who are multi-millionaires before they reach their 20's this is something Paisley didn't have to deal with. Ferguson also has had to rebuild his team once he believes the previous one has fullfilled it's potential, with the scotsman doing this on four or five occassions in his reign at Old Trafford bringing through Youth players like Giggs, Scholes, Beckham and the Neville brothers something again Paisley didn't do. Also Ferguson has proved he can win at all levels as proved with his success at Aberdeen, winning league titles against Rangers and Celtic and winning European trophies beating the likes of Bayern Munich and Real Madrid to do so, again this is something Paisley never did, and only the likes of Brian Clough can surpass Ferguson here. Also people say Ferguson has bought his successes, true he has spent a lot of money but so has every other team, and also the money he has spent has being generated by success on it and good financial work of it (Until the Glaziers took over) unlike certain teams who have being millions of pounds in debt and bankrolled by a sugar daddy owner. Paisley also inherited a great team from Bill Shankly that had won a league, FA Cup and a UEFA Cup in the two seasons before Paisley took charge in a position similar to Guardioula in todays game, although Paisley was the assistant he deserves some of the credit the buck stops with the top man. Were as Ferguson inherited a team with a drink problem and a team that although capable of finishing in the top three or four and winning a cup was a million miles away from winning the league as 20 years without a title shows. Although Ferguson was fortunate he was given time to build his legacy at United something which wouldn't be allowed in today's climate. Finally Liverpool fans claim that if Paisley had stayed at Anfield as long as Ferguson he would of won 10 European Cups, at the end of the day he didn't and there would be no guarantees he would of won as many European Cups or as many trophies as Ferguson. Also is winning against the likes of Crusaders, Trabzonpsor, oulu Palloseura and receiving a Bye in the first round of their 1978 success really up there with winning the likes of Barcelona, Bayern Munich and Chelsea like Man. Utd have under Ferguson. Paisley was a great manager but in no way a better manager than Ferguson. Another fascinating piece of work, but where the hell is Graham Taylor? Eh? EH? I don't care what methodology you used, any man who can take Watford from the 4th tier to the 1st, and finish runners up to Liverpool, get them to the FA Cup final, and beat Kaiserslautern in the UEFA cap, should be on that list. But, maybe I'm a wee bit biased. Interesting to note that Eng are currently managed by the 17th greatest manager in history. And yet everyone thinks he's rubbish and doesn't know what he's doing. What does that say about English football? How can you compare Shankly & Paisley combined at Liverpool with Ferguson's reign at Old Trafford ? When Shankly joined Liverpool they were at the foot of the second division, when Ferguson joined Manchester United they had spent the previous eight seasons finishing in the top five in the first division. Paisley won three European Cups in five seasons while Ferguson won two in twenty five seasons. While Paisley's teams comprised of British & Irish players, Ferguson's United sides were full of the most expensive players money could buy, from the four corners of the earth. Bobby Robson better than Howard Kendall? Dream on. *pedant alert* Herbert Champan won THREE titles with both Huddersfield and Arsenal. Sorry. Great article though! Another excellent an exhaustive piece! What do you have planned for the Football Pantheon next Miguel? What about Manuel Jose de Jesus? 3 league trophies with Liverpool and one with Blackburn (120 pts each), 2 FA Cups with Liverpool (60 each), and a Scottish Cup with Celtic (40). Add to that when he took charge at Blackburn, Rovers finished 19th in Division 2 the previous season, 5th for the two seasons prior to that. Take it from 5th.. He guided Rovers from 27th to 1st in England in 4 years. 27 x 30 bonus points = 810. A total of 1,450 points (15th place). That doesn't include any bonus points from #4, nor does it add or take any points from #3, but if you were to apply the 65% rule he'd still be on 942 (41st place). Thanks for the great post, I have linked back to your site here. http://www.arselin.com/sites-we-like/ Thanks for the great article….